On many requests, today I am going to launch a Android forum page, where you can ask any query related to Android development. Query will be replied by experienced android developer and me. Hope you will Enjoy this android forum. Please check answer hope it will help you, you can call that code on button click or any where else. Thanks for being first visitor on "Ask Question" page. You want device contacts list to be uploaded on server using REST web service right? @Gaurav but mind it in phonegap not in android. Hi manish how plz one example how access data from mysql database with tomcat server in android. Here am creating data base but how to connect. Please write web-services for that data and integrate them in your application. Please read REST,JSON and how to create web-services. If you know PHP,Dot net then it's easy for you to create web-service. And after that use Async Task to integrate your web-services in your android application. now i have dun take backup from url to sd card ....bt there is a problem is that .i can not read that xml file from sd card .so can u explain .........plese tell me my mail id"amit.sharma.himcs@gmail.com"
Hope this will help. Thanks. sorry dear i have no idea about phone-gap. But if you want json or xml parsing in android i can help you. I am a beginner and I am trying to make a simple traffic jam detection android apps , for highlighting the jammed road, I can't do it properly . So , can you provide me a simple example for Highlighting the roads on the Google map . As Manish suggested, you can do that. I am just providing you same in code. Hello Dear ! its possible retrieve the data (image , text )from database and shown in different activity in listview Xml ? please see this link it is same what you are looking for. Your posts are really good. I am searching a question but cant find the answer. Basically I want to push the notifications to android devices, and for that I read your post. But I want to know if there is any other optimized way to send a notification to a number of device. My applications requirement is to send the notification to every user that have our application installed. My demo app for testing only, so when i receive any reg-id I just send a message on that device. This is the same code what you are looking for you have to just make small changes in php side. 1)Get reg-id from device and send it on server and keep it in shared preference true so again and again your device did not send reg-id on server. 2)In php side get that reg-id and keep in mysql database. 3)Now you have all registered device in your database, you can send message to all device or selected device. What if i want to resume the timer? Hi Sapan, I did not got more about aapt on google but its main task is create zip file and view zip,jar,apk file in android. And it also compile resources into binary assets. aapt is found in the $ANDROID_HOME/platforms/$SDK/tools/ directory of the SDK. Hello sir, I m getting problem which is not solved after lots of try. i have created web service for that i m using eclipse, apache tomcat server and axis2 1.6.2 binary runtime everything is configured properly but when i run project on server it display the web page and service list i.e list of deployed web services in server when i click on service it's not display me method name below it shows me no operation specified error. what is problem there plz, help me . thanks. Hi Viral, It is very simple to create axis web-service using eclipse. please try another demo hope that will help you. And axis provide us Graphics Interface for testing your service so please test before iy use. And please check your port number where tomcat is running. check manually it is running or not..
hello sir, i have configured everything properly. so, i have forwarded web page snap shot as following for better understanding to solve issue. i m not getting the method name at bottom that is created in web service class which shows me error as bottom that operation not specified.thanks. Hello Dear, I don't know why you are facing this problem. Any way have you run any Test web-services yet or not? first i thank you for your reply to questions. I have one question. Where Shared preferences, Content providers will store data. I mean SD card, RAM or phone memory? If you don't mine can you pl explain something about memory in phone. 1)Ram use flash memory like copy paste and shared preferences also used for same task. 2)And most important thing if your app got force close then you will loss your all shared preferences data so that mean this data is not in phone memory. Shared Preferences-Store private primitive data in key-value pairs. Internal Storage-Store private data on the device memory. External Storage-Store public data on the shared external storage. SQLite Databases-Store structured data in a private database. Network Connection-Store data on the web with your own network server. Hope it will help you and please if any thing wrong here so please share your knowledge with us. Your most welcome! SharedPreferences are stored in an xml file in the app data folder, i.e. I agreed your point that shared preferences will store data on RAM. The below statement is not happening in my case. I mean it not clearing shared preferences when we got "Force Close". Can you confirm this once. Regarding memory management i gone through this url http://stackoverflow.com/questions/4634774/android-memory-types-ram-v-internal-memory. yes dear, but its depend upon phone processor. I you have poor memory phone and when it got force close at the time of when it is getting data from preferences it will null all of your data from preferences. If I really got you. You want something like a edittext with accepting number values only. hello sir, i have configured everything properly. so, i have forwarded web page snap shot as following for better understanding to solve issue. i m not getting the method name at bottom that is created in web service class which shows me error as bottom that operation not specified. please give me solution. thanks. Hi Shanmuga, Please try to put your question with full requirement so any one can understand easily. What you mean ny " windows phone loading animation"? You want loader like windows-7 on start-up or something else? please explain.. I would like to make an icon counter for andoid just like the Email and the Samsung Apps applications i have seen such requests from other developers, but you all say it can't be done. if so how come those 2 apps and other apps can do it? do i have to make like more than one icon image and swap them or something? is it really cant be done and why? I am not sure, please check this URL hope it will help you. what is the difference between Android API and Google API, ? The google API includes Google Maps and other Google-specific libraries. The Android one only includes core android libraries. 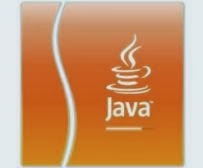 I’m really new in java programming. I’m trying to build an android application that will be enabled by NFC, record sound (during sleep) continuously (in separated files of 1-2 minutes length and then start a new recording file), uploading each one of them (right after it’s recorded) on a server and then deleting them from the phone. Also I want to add a UTC timestamp to every file , to be able to synchronize these sounds recordings with other signals, on the same graph. Could you help me with any of these? Any Help would be appreciated. 1)create an app folder like facebook,yahoo and save your sound file in that folder. 2)for send data on server after 2 min you can you can use alarm-manager, which will stop recording sound after every 1-2 min(what time you set) and use Async task to send that sound on server and onPostExcute method delete that path from sd-card. As I said,I'm new in Java,could you suggest me a page which I could have free java lessons and excersises?Should I also have lessons for android? yes sure you can get it but be sure no one remove that image from sd-card. I got , please can u prefer me some links ? i don't want put more back-link on my blog so please search on google, sure you will got it on stack overflow. just search "how to save capture image in app folder and retrive path". I emailed you also :) Hoping for response thanks. I did not understand your code. why you do so complex? just did it in simple way how i tell you..
from where you trying to install that apk? from email or direct from eclipse? if apk is created is should not give any type of error. from email I am installing the apk. why apk file is not installed from 4.0 version but it is installed in 2.3.3..
yes yes asynchTask is good. please use only this for all long time operation..
in my list view having text views and image view.I want to highlight only image when i an clicking on image. I tried but whole listview is highlighting. and set animation on that imageview. Nothing it's only like list.actually bean is a List type class where getter setter are there. with the help of that we are taking values only. Prasanna @ instead of using bean you can use List simple which contains data. i m developing an app where if user submits form to my server,i should automatically send an sms containing a random digit number to user.....any idea? you can use GCM for sending message. when he submit form just send a message using GCM. OR you can purchase any bulk sms pack and send it from server on their device. in this case you have not to do anything all task did by back-end developer. how to import library of calendar at eclipse.anybody can help? do you have calendar library? 1) well for importing any type of library project just go to eclipse file menu and then select import option after that you will see a chooser window from where go to general and then select Existing project into workspace and press next button. then browse your project and press finish. 2)now go to your main project properties and and from Android tab select Add option for add library. and if you have jar for this just put your jar inside libs folder and right click on your project select Build path and from there Configure Build path. now go to Add jars button and browse that jar from your libs folder. its working man just do it. only value is telgu not key nor java code. what folder name we will take for telugu string.xml. it is inside your res/values/strings.xml ..
and for that font you can google. I want to show my app in telugu as well as english. it will choosen by users. I want to get last row values from sqlite database..what is the query for that? I have to show my spinner with image and two textviews.one textview is for to show name and another for to show some number.The image and these textviews are assigned by getting the values from database.how to do that? prasanna @ Please explain what is your actual problem. I am loading values to the spinner from database.when I click on the spinner it shows repeated values.when I go back to previous activity and again into spinner activity,at that time when i click the spinner it show only original values......how to refresh the current activity? the problem is with fetching data from database, make sure if it's correct. I'll help more if you show me your code. use pastie.org for copy-paste code and share the URl here. We'll try to resolve that if it's still the problem in your case..
when you call new activity finish previous activity after that when you click back button from new activity call again previous activity by using Intent. Please check my post for custom gridview and use async task to get data from webservices.and put a refresh button on topbar and on button press again hit server and refresh gridview items. I am going to develop an app like feature call( when we set date and time and phone number in database) call automatically based on date and time in database to the given number. Please use Broadcast Receiver and AlarmManager for scheduling call. Did you put necessary permission in manifest? Because if you did the same, it should work. for example, i'll have a button as a trigger and then when the user press the button my app will automatically select random question from my set of questions. how can i implement such method? thanks in advance. Now Print or whatever you want to show that. Now You'll get random output. Hope this'll help, Thanks. upon creating this list of array, can i also add the fisher-yates algorithm as well? to randomized this list of questions? first i have to create an arraylist of questions and then i will randomized the list using fisher-yates algorithm. hope to help me sir. thnx for the previous post. hello sir! can you pls. give me a sample working code using fisher-yates shuffling algorithm. for ex. i want to randomly shuffle layouts using android xml layouts. tnx in advance. I'm a newbie in programming and I wanna build a sound recording application. I have a code which is recording sound and puts a timestamp,by using MediaRecorder and Calendar. I need to change it and make it messure the sound levels.I'll use the getMaxAmplitude method,but this method returns only the last result,before it was called.I think I should use a loop,but the start method is capturing and encoding condinuously. I have 4fields(Message , Phone Number , Date , and Time) in Sqlite Data Base . I want get Date and time from Data Base and compare the date and time with Current Date and Time and forward a call to the phone number. How it possible and how to Compare date and time with current date and time? String selectquery = "select price from table_income WHERE date BETWEEN "
Already I have post custom spinner please go through above code, add only check boxes in that layout which is exist in adapter. how to refer the checkbox value on another activity on android?? and get on next page.. I had an urgent requirement. The requirement is when i open my application i need to get the layout of Edit text and and Button but the Edit text is to be disable. when i click the Button then only it will get enable. I need sample source code for that. Can you please help me? 1)go to your layout file and on edittext android:setVisbility="invisible"
I have just give an idea,you have to implement it..
will u please help me to create geofences in android using geofence builder??? Thanks for help..it works for me. Could you please tell me how can i get national real time stock feeding? What you mean by stock feeding? Are you working on Stock Market app? Okay great but I am sorry dear i don't have idea about this. You can ask to your client to provide API for this. 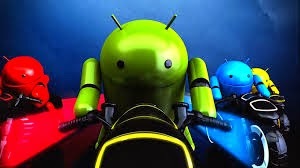 what is the difference between Google api 2.3 and Android 2.3. Can you explain me pls? Basically Google API have all feature of normal Android API of same version like 2.3, 4.1 etc but only main difference is that its have some extra Google API(JAR,Plugin) like Google map etc. But now in these days Google provide us Google map version-2 so you don't need Google API just import Google Play Services library. Google play library have all in one like map,ad-mob,google account detail etc. Refer to Manish blog for creating radio group and add below code inside for loop every value store in arrayList after that you can store all the values into database.Insert data into database code given by manish. Plzz tell me how you came across the problem of google play service out of date problemm??? do u use eclipse?? Yes Anirban I am using eclipse. so just update your Google Play Services Lib with new one. Any issue? Yes here some extra features now like @Integer and all.Now you can use your lib for ad-mob,analytic,Google-map,in-app-purchase and all. means one lib all solution. hello, how to create a view dynamically.because i want to show so much data from web service.i want to display this data into a horizontal scroll view.is this possible..like as when in web development it is display in table format.i want this in alist view. but more data. is not possible for this. please rerply to my mail..kaliprasanna007@gmail.com..plz,.,. Dear Please See Manish blog created Radio Group dynamically. Set in layout HorizontalScrollView instead of ScrollView and in LinearLayout set Orientation horizontal. According to your requirement you can add other view Which you have required. Hope above link will help you. I m creating an online application for clothing store, I don't know which database to use for images and how to link it to the application? when you are talking about "online" that mean your all data should be on server and you can use any database like mysql,sql-server etc. And for images use a folder and put then there and their references(name,id) inside database. Use web-services for getting all record from server and display them in your mobile phone. Please check on stackoverflow there are many code related to OCR implementation. why do you want run your activity in background? Just run any method or particular task in background using Services. use Alarm manager it will work in background.. Sorry dear we don't have code for this. You have to some hard work on that. 1)Just change color of that day which dates have event. 2)below of calendar display that events on tab that events. i am very impressed by the way you have organised the things in ur site .just need some info related to FM application.as per my knowledge concern we dont have any API in android to create FM application for which we need to use 3rd party library .do u have any such Fm sample code and if you can share that i ll be glad to you. Hi Arun thanks for your nice comment. And yes you are right we don't have any API for FM application. It is provided by company manufacture with mobile device like Samsung, HTC etc. May be here some third party library available in market but they are not good i think.If you really want to work on them you need some R&D on firmware. Just override your OS is option in my knowledge. Well never I have worked on this label so I have no code. Sorry and best of luck for your project. And if you got anything please let me know , it will help me one day. Please give me some time, I am not sure but I have some code related to paint in Android so I will send you hope it will help you.. But please keep trying at your end, I will check today let you know the result. Thanks Manish.I am keep trying. I saw that code.But how to get only edited image ?this is code for capturing image and showing it is as circle image.but i need only selected portion..any idea? How can i show song lyrics in player? i want to show full song lyrics when song starts playing? Sorry Priyal, i have no idea about this. May be speech recognition will help you please try this. my app is a simple gallery of smiley for chat. i want to perform for other app to attach image from my app.it's my code but it's not work.please help me.it's very important for me. So you want send image from your app to another application? Have you achieve any thing positive? Please check you-tube developer API i think they have any api for search query.. I think in your baseadapter class on item check you can add that item in any array-list and on un-checked remove from there. And send that list to where you want. How can i get string value from dialog on button click in mainactivity . I have many demo app on my blog you can try them and you can read android developer blog too..